CMK Financial Services, LLC Fish Stories…. I’ve got lots of fish stories…..”I swear it was this big!”. I’ve got lots of similar hunting stories as well. Today as I’m gearing up for my week ahead and the upcoming payroll tax filing deadline, I don’t want to write about accounting or taxes. 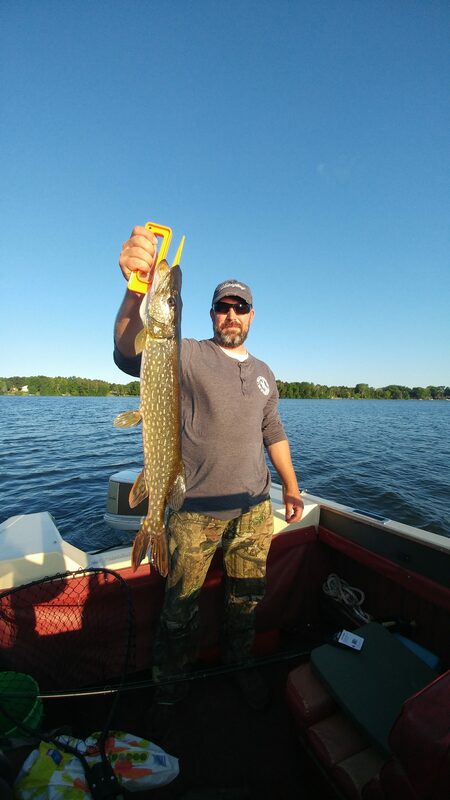 I just want to share a picture of the Pike my husband caught last night. They were biting hard and fast. It was a lovely way to spend a Sunday.